The questions you most frequently ask – answered! Tell us about Jon W Sports Injury? 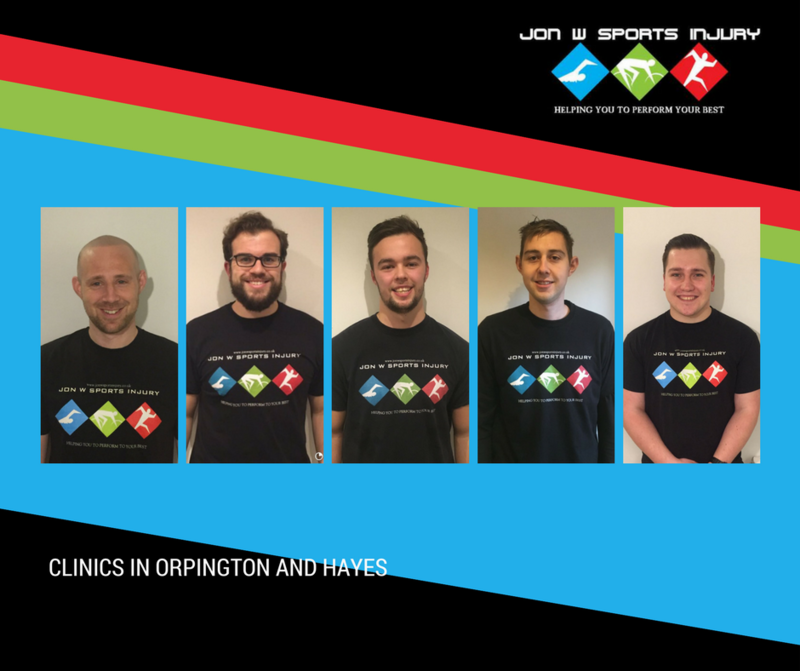 Jon W Sports Injury is a friendly Physical Therapy and Injury Clinic, with locations in Orpington and Hayes, Kent. The clinic was started in 2006 by Jon White and has grown considerably and exponentially since then. Our team of therapists have a combined experience of over twenty years in professional and semi-professional sports. We work with clients of all ages and abilities and enjoy personalising our work to suit the needs of each individual. We pride ourselves on being very approachable and knowledgeable therapist’s. How many sessions will I get? This is always one of the most common and difficult question we receive. Make sure you are fully aware of what your injury is, potential causes and most importantly how to fix it. Provide you with a clear rehabilitation program to follow to allow for an improvement in your condition, with the end goal of a full return to pre injury condition. The program will highlight short term goals as well as long term. Give you an approximate time frame to achieve this. The final decision for you to stop your treatment sessions will be with yourself when you feel you have achieved your desired goals. Make you do your rehabilitation program. Provide you exercises that we feel will put you in danger of worsening your injury. As a result we have found in our clinical experience and customer feedback that people who attend weekly sessions see the best and quickest improvements. Our rehabilitation programs are written with exercises that we feel can be improved upon within a one week period. However, as a clinic we never want to heavy sell or ‘block book’. We would rather work on a program that leaves you happy and in a condition that you were looking to achieve. Your therapist will advise you of how that program is going but the choice to continue or stop will always be yours. Your therapist will always happily discuss this with you, what appointment schedule works for you, and when they believe your rehabilitation is complete. 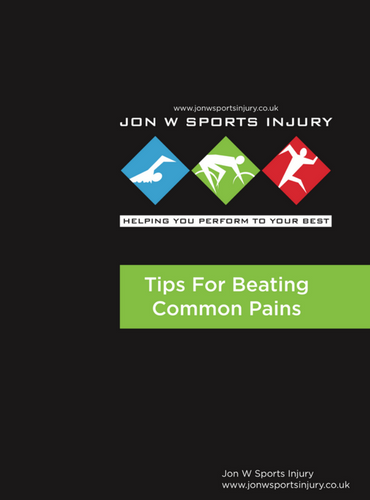 What should I expect from Jon W Sports Injury? Provide excellent customer service from the moment of your initial enquiry to us. Welcome you in a friendly but professional manner to the clinic. Provide an environment that you feel comfortable in and believe to be suitable to facilitate your rehabilitation. 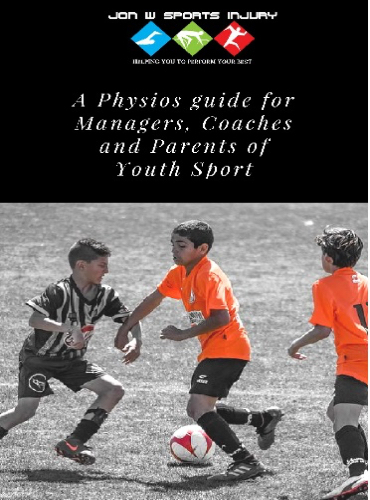 Clearly explain your injury, potential causes and how this can be improved. Provide treatment within our skills and in a manner that makes you feel comfortable. The purposes of each treatment we provide will be clearly explained. Provide a rehabilitation program with exercises that are suitable for your current condition. 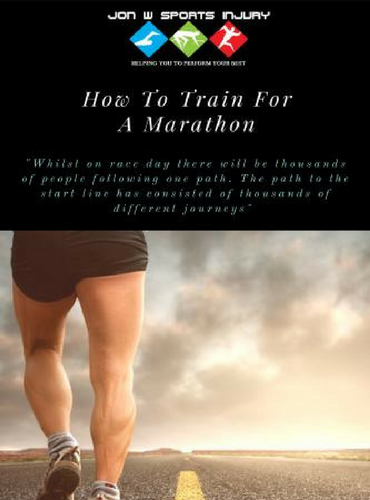 Each exercise will be clearly explained and its purpose made apparent to you. Discuss the next steps of your rehabilitation program. It is important to wear appropriate clothing. We recommend sportswear, so bring a pair of shorts and t-shirt. We do have the environment for you to change in private. It is important to remember that we may need to assess other areas of your body that may be affecting your injury, so would need access to these areas. Loose fitting clothes are helpful. We are a cash based clinic, so our main form of payment is cash. If you are unable to provide cash we can send an invoice for your treatment session with bank transfer details. However, we do have to apply a small charge for the administration of this. Yes we can provide receipts. Just ask your Therapist at your appointment and one can be sent to you. Members from our subscribed clubs receive £5 off every treatment session.